Is Propane Gas Safe to Use? There are several reports online that propane is not as safe as other types of gas. As a homeowner that is concerned about safety, should this concern you? While all gas used for fuel is potentially fatal, propane is different. 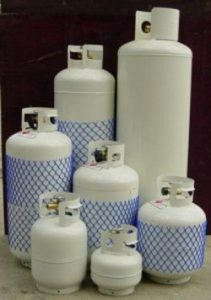 The way that storage method of propane makes it one of the safest gas types on the residential market. At Northwest Propane Gas Company, we understand that we need to educate homeowners about this gas to feel safe when having it installed in their homes. Detailed below, there are several helpful facts about propane safety. This list can help you feel confident about your next propane gas refill. Is Being Colorless and Odorless a Bad Idea? When you see pro-natural gas literature online, one of the main points of contention is that natural propane gas has no color or odor. However, what this type of information fails to mention is that all residential propane has a scent added to it to make it detectable. Furthermore, the equipment associated with propane has rigid standards. In other words, gas leaks are unlikely to happen with propane, and if they do, you will be able to smell it. One other criticism of propane is that it will settle because it is denser than air. This term is known as pooling. This information is misleading in regards to residential propane. If there is a liquid propane leak, the substance will vaporize and dissipate. Having a propane leak pooling gas in your home does not mean it is likely to explode. Instead, research shows that propane has a fairly limited range of flammability. The propane-to-air mixture percentage that must be obtained for an explosion to occur is 2.2 to 9.6. Anything outside of this range will mean that the mixture is either too rich or too poor to ignite. In other words, propane gas safety is not something that should concern a homeowner. How Can Propane be Environmentally Friendly? You may notice that local propane is made from natural gas or petroleum refining. Compared to other gasses, propane is one of the cleanest burning petroleum-related products. One other benefit to the environment is that propane will not pollute because it is nontoxic. Finally, propane gets extra points from the Environmental Protection Agency because it does not contribute to the production of acid rain. Now that you have the information you need to understand the safety aspects of propane, you can call Northwest Propane Gas Company at 972-247-6121 with other concerns you may have.